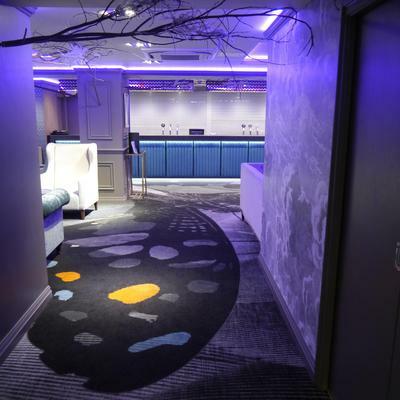 Brintons has created a stunning bespoke carpet in partnership with Hip Creative Consultancy to transform luxury spa resort Hoar Cross Hall’s spectacular ballroom, library, Meynal Suite and corridors. 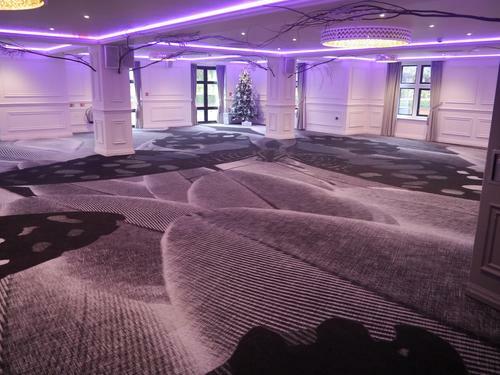 Throughout the hotel 1700m2 of Axminster carpet was specified, with 462m2 laid in the hotel’s ballroom, which spanned the length of the room. 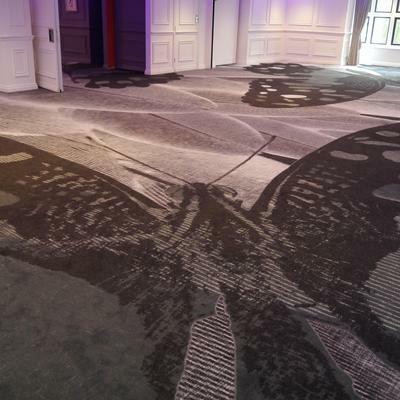 The carpet features an impressive butterfly design that was created on Brintons’ HD Weave loom, which allows photorealistic results. We were asked by Hoar Cross Hall to create a cutting edge space that would hold both functions and corporate events. 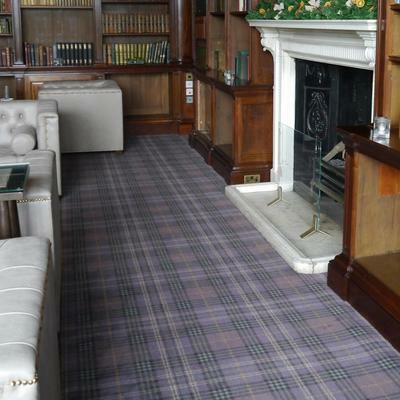 Our aim was to ensure that we were inkeeping with the traditional feel of the hotel, while creating something that was contemporary and used the latest in design technology.That’s why Brintons was the obvious choice for this project, as not only does it have a great history of making high quality carpets but its HD loom allowed us as designers to create something highly unusual. 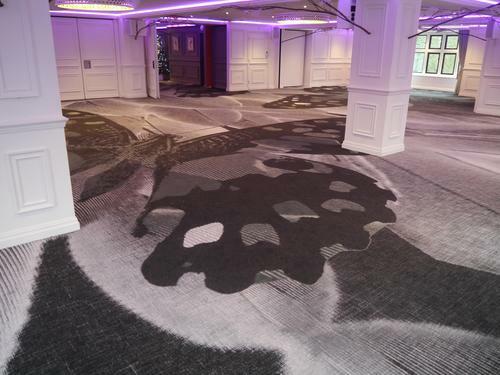 The fantastic thing about the carpet is that there is no repetition on the design as we were able to create such a large image, which almost looked like a painting, that flowed across the whole space. It was fantastic to work with the team at Brintons and I think that is what made this project so enjoyable for me. We worked closely with technicians who really understood what we were trying to create and they translated this into the final designs. 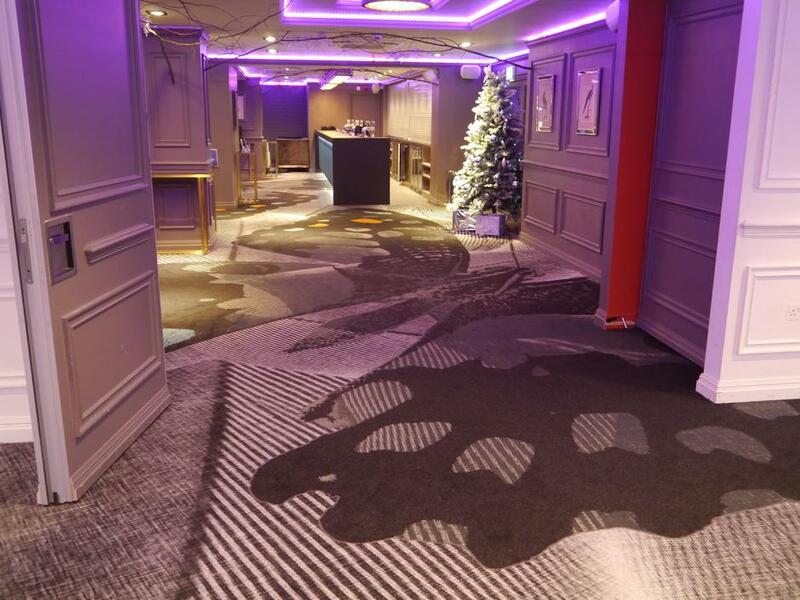 The hotel was over the moon at the finished result and the room is truly a unique space that lends itself to the fun and dynamic nature of the ballroom. Hoar Cross Hall in Staffordshire is a Grade II listed stately home, which marries tradition with modern luxury, and the ballroom is an impressive setting for weddings, meetings and gala dinners. 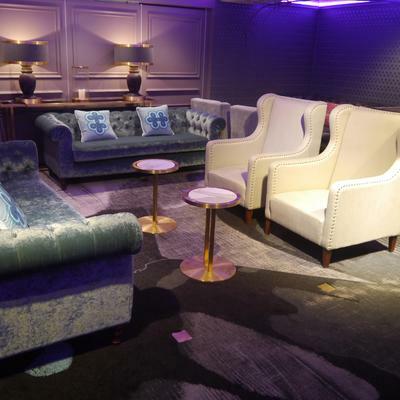 The interiors of the ballroom used vibrant turquoise and oranges, which were underpinned by a range of grey scales, including highlighted recesses in the walls with turquoise leather panelling in front of the bar. 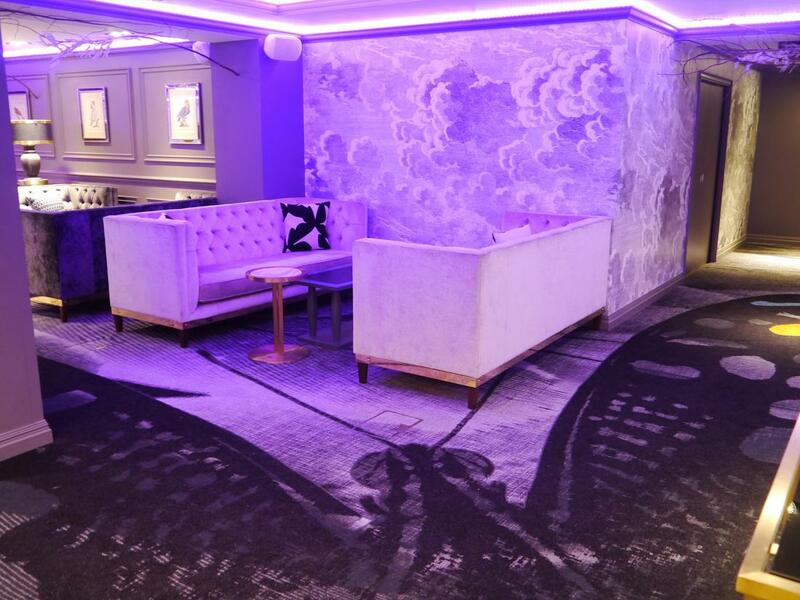 The interiors were complimented by pops of colour in accessories throughout, as well and the colours being reflected in the carpet designs.